Melissa Force is General Counsel for Spaceport America. Before coming to the Spaceport, She was the principal partner of a successful consulting firm in Los Angeles, California providing legal advice on complex international policy and legal issues to clients in the commercial aerospace industry. She taught courses on Aviation and Space Law as an adjunct professor at Loyola Law School and International Law and Politics of Outer Space and Space Systems Law and Policy as an adjunct professor at Webster University. She is an elected member of the International Institute of Space Law (IISL) and Co-Chair of its Manfred Lachs International Space Law Moot Court Committee, which oversees regional moot court competitions in Europe, Africa, Asia and North America and organizes and conducts international finals every year during the International Astronautical Congress. She also worked in the Office of Space Commerce in the National Oceanic and Atmospheric Administration (NOAA), assisting in the development of the commercial space transportation policy and representing NOAA at U.S. delegation meetings in preparation for sessions on the International Committee on Global Navigation Satellite Systems. 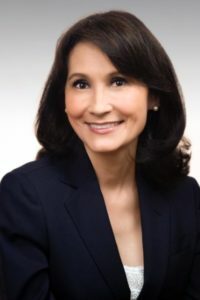 Previously, She was the Vice President and Associate General Counsel heading international and domestic claims for HOK, Inc. and a partner in the Los Angeles office of Carroll, Burdick & McDonough. She holds an Advanced LLM degree from the International Institute of Air and Space Law at Leiden University (the Netherlands) and have served as moderator and panelist for the Air Law Institute’s Air and Space Law Symposium and the American Bar Association’s Forum on Air & Space Law and has authored, published and presented papers in Europe, Africa, Asia and North America on a wide array of issues, including suborbital spaceflight, Nextgen space traffic management, space debris, extraterrestrial resource extraction, the Moon Agreement, and rules for the arbitration of space disputes in fora as diverse as the IISL Annual Colloquium, at the IAASS Space Safety Conference, the Canadian Space Commerce Association National Conference, the International Space Development Conference and the Global Space Exploration Conference.